Everyone that knows me, knows that fitness is a big deal. I love a good workout sesh and a great sweat. But time is precious and time isn’t something I always have. Three kids control my time every day and what I can and cannot get done. However, I still try daily to get some form of exercise is. Remember this, fitness is a total lifestyle. Look at fitness and exercise from a “lifestyle” approach and you may find yourself more motivated to make it a daily priority. 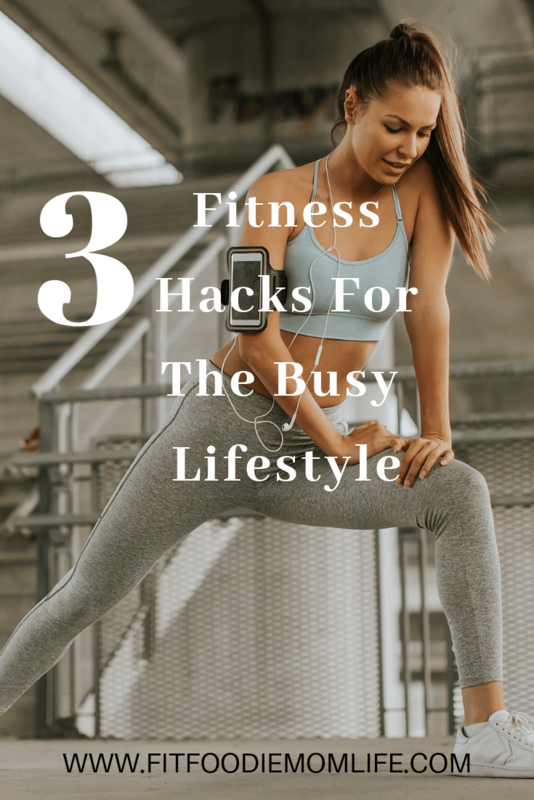 So, instead of sitting around and trying to work up the motivation to force yourself into an elaborate exercise routine, here are some useful rules to follow when you’re seeking to become more physically active. Tabata training is a high-intensity interval training. In fact, high-intensity exercise done for only a few minutes at a time, can be as effective as – or more effective than – drawn-out forms of exercise. There are other benefits to high-intensity training done for short intervals, too. For one thing, they typically create less of a cortisol stress response, and reduce the risk of repetitive strain injury. If you’re trying to squeeze physical fitness into your life in a more active way, and if you’re short on time, especially, signing up for a short, challenging interval training class, rather than long, mid-intensity workouts like jogging, may be a great idea. Besides, this is great for young moms. We don’t have time to workout for hours every day. But, I’m pretty sure everyone can manage 15-20 minutes of high intense training every day. It’s a lot harder to convince yourself not to workout if it’s under 30 minutes. Sunshine and fresh air is the best remedy to stress, sickness, and to decompress. Also note that occasional low activity throughout the day is essential for good health. Sitting around all day significantly increases risk of death from all causes. If you only have time to squeeze in a good intense gym session later on in the day, go for it! Since ancient times, people have known that maintaining a good baseline of low-level activity, and getting plenty of fresh air, is good for health. Do plenty of walking, and preferably do it in some natural setting. Grab your stroller, strap the kiddos in, and go for a good long walk. It’ll do your soul good and wear out the kiddos. This article mentions some of the benefits of high-intensity training, but it’s important to note that you should do this training in a balanced way, and not burn yourself out on it. The human organism isn’t designed for constant and unrelenting strain and exertion, just as it’s not designed for sitting on the sofa all day. Apply the “Goldilocks” principle here – stay physically active enough, but stop before you feel burned out and wrecked. Besides, if you burn your body out too much and can’t move for the next 4 days, you did yourself more harm than good. Start off easy and slow and work your endurance up. You’ll be amazed how much your body can do overtime, if you just give it time. Exercise and fitness are great adapters to add to your every day life. Incorporate a healthy lifestyle for your overall wellbeing. It’s important to stay active for not just your physical appearance, but for every single cell inside your body. You were designed to move, so get off the sofa and get a sweat going!